Best Western Plus Bristol Hotel in Sofia city center welcomes every guest with individual style. Comfortable rooms and apartments, free WiFi, parking, equiped conference room with 70 seats and highest standart services. It is homely Bulgarian hospitality of Best Western Plus Bristol hotel in Sofia! Delicious food and sommelier selection of wine - enjoy it at Restaurant Bristol. 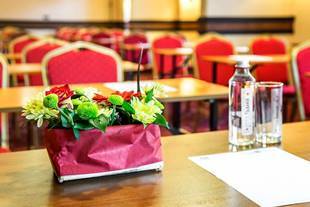 Benefit from the particular to the organization of your business event at Best Western Plus Bristol in Sofia. Sometimes, you just have to get away to get closer to each other. And with the Family Package, you can save while you explore Sofia . We’ll make sure you and your kids have a great stay. Romance often escapes us during the course of our busy lifes. Why not get awat from it`s all and rekindle the flame of love with us. To someone who is inlove, every month is like February. 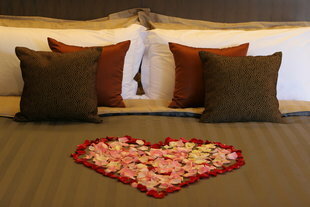 Enjoy our special offer with romantic wine dinner and many little extras. Let`s you focus on each other.